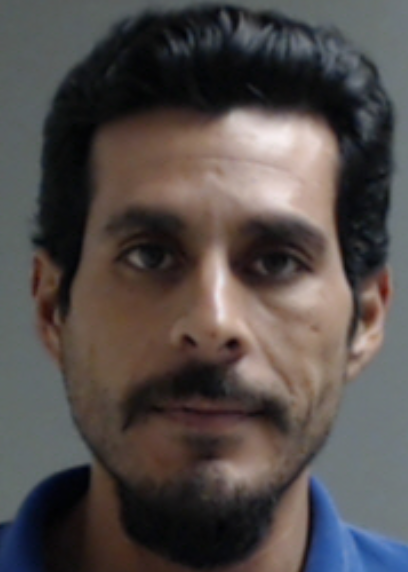 McALLEN — A Weslaco man said a phone call from a scout alerting him to law enforcement led to a crash that left one person dead. Damian De Los Angeles Garcia, 34, faces federal harboring charges in connection with a crash Monday in Mercedes when he lost control of the SUV he was driving and crashed, according to the criminal complaint filed against him Tuesday. Garcia, who was allegedly attempting to smuggle more than 10 undocumented immigrants, said he received a call from another person, later identified as a scout working with Garcia named Jose Angel Cabrera-Ricardo, who advised him agents were in the area. Another man, Eduardo Zuniga-Martinez, was also found to be working with Garcia, and was found in the passenger’s seat of the SUV. Cabrera and Zuniga, both Mexican Nationals without legal status to be in the United States, face harboring charges as well, court records show. After ending the call with Cabrera, Garcia, who had just picked up a group of undocumented migrants in the area of Relampago, said he “left the area in a hurry,” which resulted in him losing control of the SUV and crashing into a metal gate south of Mercedes. “ The fourteen subjects were treated for their injuries at several Rio Grande Valley hospitals,” the complaint states. One person, who has not yet been identified, died as a result of the injuries suffered. Texas Department of Public Safety spokesman Lt. Juan “Johnny” Hernandez said U.S. Homeland Security Investigations officials were handling the investigation and referred all questions regarding the fatality to them. A message left with HSI officials regarding the identity of the victim went unreturned as of this posting. One of the migrants, a man from El Salvador interviewed by agents, said Zuniga guided the group from Rio Bravo, Mexico, to the location south of Mercedes before being picked up by Garcia. The man told agents his destination was Houston. Zuniga told agents after his arrest that he had guided groups of undocumented persons on at least 5 prior occasions using the same path from Rio Bravo, Mexico, to Relampago, Tex., and was being paid $80 per person, the complaint states. He also said Cabrera was a guide in the operation, and that Garcia, who he knew as “Flaco,” was the driver of the SUV. Cabrera denied being a part of the smuggling group — instead he said he was simply an undocumented “alien” from Rio Bravo, Mexico, who came to stay with his aunt in Weslaco, the court record shows. All three men made an appearance in federal court Tuesday, with subsequent hearings scheduled in the future, court notes show. Garcia, who does not have any prior federal convictions, pleaded guilty in 2002 to a state burglary of habitation charge, which resulted in probation, court records show. Because a death resulted from the attempt to flee from law enforcement, all three defendants may face up to 10 years in prison as an enhancement to the harboring charges.